Founded with a vision of providing custom, quality products, at fair prices, Signs2U is designed to make your company stand out from the crowd. Whether you are looking for a monument sign, dimensional letters, feather flags, custom yard signs, or to wrap a vehicle; we are happy to quote the project. No job is too small or too large. We make everything from small restroom signs, to large electric business signs. Great people! Very helpful and professional. Big shout out to Signs2U for the awesome fish decals for our truck. We really appreciate you taking time out of your day to accommodate us! Thank you! We love them! Fantastic service. Fantastic quality. And a very competitive price. Can’t recommend highly enough. Signs2U can help with all of your printing needs, from business cards to trade show materials and everything in between. We offer full-color offset and digital printing in the same great quality you’ve come to expect. Click here to check out our selection of print products or to place an order online. Great for trade shows and expos! Our custom banners come in black and white or full color. Let us help you find the best material for the custom banner that will meet your needs. 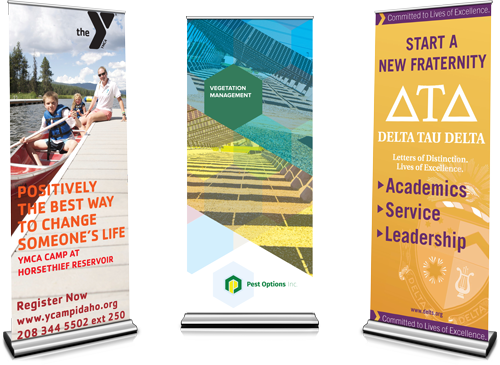 We make low cost, durable banners that will leave a lasting impression. Learn More About our Banner Products & Services. 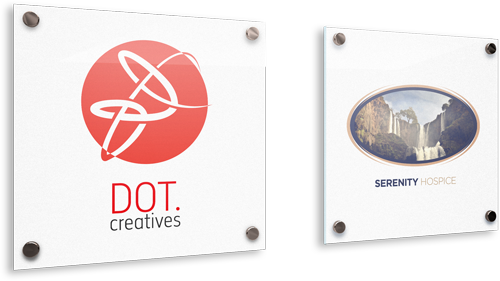 Learn More About our Signage Products & Services. One of the best ways to advertise your business is on your vehicles! Whether it is on a single vehicle or a fleet, we can help you design a layout that is guaranteed to grab attention! At Signs 2 U we have wrapped it all, if you can imagine it we can wrap it! With a Signs 2 U vehicle wrap, you can create a cost-effective moving billboard! Learn More About our Vehicle Wrap Design & Installation Services.